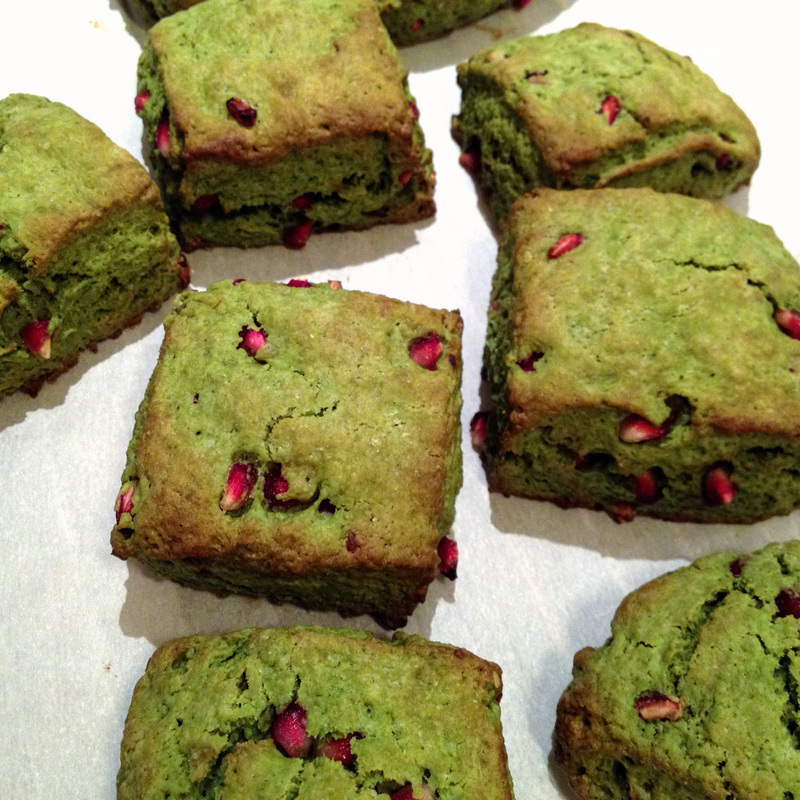 In a medium bowl, sift together flour, matcha powder, sugar, baking powder, baking soda, and salt. Using a pastry cutter (or knives or your hands), cut butter into flour mixture until butter is pea-sized. Gently mix in pomegranate seeds. Dump the dough out onto a lightly floured surface. Form into a square about 3/4 in thick. Cut into 9 squares and place on a parchment paper-lined baking sheet. Bake at 400F for 13-15 minutes, until golden. Place on wire rack to cool.